Fellowship at Centre for Liver and Billiary Sciences ,Max Hospital,New Delhi. Received research grant by ICMR for study Ãnxiety and Depression among medical graduates -a clinical studyâ€. â€œIntrathecal hyperbaric Ropivacaine for Daycare pelvis, perineal and lower limb surgeries -a prospective studyâ€ Published in Indian Jouranl of Clinical anaesthesiology. Post MD 22yrs of experience in the conduct of Anesthesia for all the surgical sub specialties .Administration of Anesthesia in all cases of CABG with special interest in off pump CABG. I have experience in Neuro anesthesia and in General anesthesia for a wide variety of cases. Well experienced in administering Regional Blocks. Complete proficiency in critical care management of SICU cases, both cardiac and non-cardiac cases. 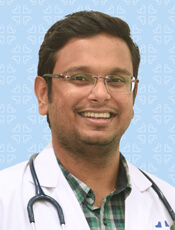 Worked as Senior Registrar in Department of Anaesthesiology, Critical Care and Pain, TATA MEMORIAL HOSPITAL AND RESEARCH CENTRE, MUMBAI. Worked as Consultant Anaesthesiologists and Assistant Intensivist at SURETECH Multispecialty Hospital and Research centre, NAGPUR. Management of Acute and Chronic Pain. Workshop on Mechanical Ventilation held at Yashoda hospital,Hyderabad, in December,2011 by Association of Respiratory Care India. TMC National Conference on â€œThe Difficult Airwayâ€ and â€œAirway Simulationâ€ held at Mumbai, in November,2012. 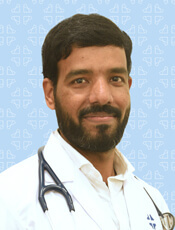 Ramchandra Anaesthesia Continuing Education held at Chennai, T.N., in January,2013. TMC National Conference on Anaesthesia Review Course held at Mumbai, in March, 2013. Mohammed N. Ali, Pradeep P. A COMPARATIVE STUDY OF DIAGNOSTIC FIBREOPTIC BRONCHOSCOPY UNDER AIRWAY BLOCKS AND BRONCHOSCOPY UNDER SEDATION. Went on to pursue DNB in 2010 from SSSIHMS, Bangalore, which gave her a great exposure in cardiac and neurosciences. Joined Fortis Hospital, Mohali (2012-2017) which is an over 300 bedded, JCI and NABH accredited hospital. Here she got exposure to the international standards in health care and a rich learning experience in the most advanced procedures such as Hepatic and Renal transplants and bariatric surgeries to name a few. Evaluation of intraoperative haemodynamic effects of intravenous dexmedetomidine versus intravenous fentanyl based balanced anaesthesia in patients undergoing lumbar disc surgeries â€“ a comparative study. Relevance of PA Catheter in paediatric population presenting for complex congenital heart surgeries. Attended a number of workshops and CMEs as a delegate/faculty at both national and international level. Dr Sheetal had her undergraduate training at the prestigious Christian Medical College, Vellore and went on to do her further training in Anesthesiology at the same center. After her post-graduation she worked at the well-known institution BM Birla Heart Research Centre in Kolkata where she honed her skills in cardiac Anesthesia. She then joined as Assistant Professor in Anesthesiology at CMC, Vellore and was teaching faculty for under graduate and post graduate trainees. She has a keen interest in Advanced Cardiac life support and was American heart Association certified BCLS/ACLS instructor. She subsequently moved to Singapore where she worked at Ng Teng Fong, General Hospital, under the National University Health System. While in Singapore she acquired advanced skills in Ultrasound Guided Regional Anesthesia and Simulation Training apart from her regular work. Dr Sheetal is Trauma certified (ATLS) and can handle complex surgical cases in elective and emergency settings. Spinal Anesthesia for laparoscopic Cholecystectomy: Comparison of Spinal Anesthesia with General Anesthesia for laparoscopic Cholecystectomy. Cirrhosis of the liver in Children- Understanding Paediatric Anaesthesia. Intestinal Obstruction in Children-Understanding Paediatric Anaesthesia.